Amazon warehouse workers to get state of the art augmented reality equipment. Now they might get more bathroom breaks. Amazon has invented wearable glasses that will automatically assist workers in a fulfillment center for locating any item of interest. Amazon’s wearable glasses can provide workers turn-by-turn directions right in front of their eyes in order to navigate them to the item of interest. Earlier this year, Amazon was criticized for “brutal” working conditions in Amazon warehouses, where workers were afraid of going to the bathroom and missing their strict targets. Some workers were peeing in trash cans and bottles. Amazon’s wearable glasses might change the situation as they provide a path that is most efficient for the workers to follow, saving energy/time and help them meet their targets. 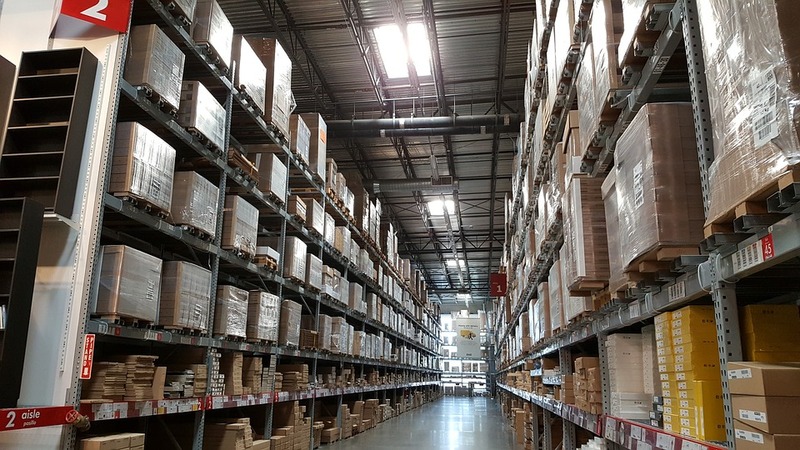 Locating an item in an Amazon’s fulfillment center can be quite difficult due to the sheer size of these centers and the huge number of items they store. Amazon’s fulfillment centers are colossal. As per Amazon’s website, one of their fulfillment center in Dunfermline, Scotland, covers a million square feet (approximately 23 Acres) of land area. That’s nearly the size of 14 football fields. An average worker at the fulfillment center ends up wasting a significant amount of time figuring out a way to reach to a desired location. Further, the situation is even worse for the new workers. Amazon’s wearable glasses would enable their workers to work efficiently and effectively at the fulfillment centers. Amazon just filed a patent application for their augmented reality based wearable glasses. Amazon’s wearable glasses consist of a display unit right in front of a worker’s field of vision. The display unit displays a user interface that provides all necessary instructions and information (such as “TAKE NEXT LEFT THEN LOCATE THE ITEM AT BIN J524” as shown in the figures below) to the worker in order to complete a task. Amazon’s wearable glasses comprise of a miniaturized projection system for projecting the user interface onto the display unit. The user interface gets updated regularly based on the location of the worker in the fulfillment center. The location of the worker is identified with location identifiers that are placed nearly everywhere in the fulfillment center. The location identifiers are analogous to landmarks in the fulfillment center. The location identifiers are alphanumeric codes represented with a barcode or a QR code. 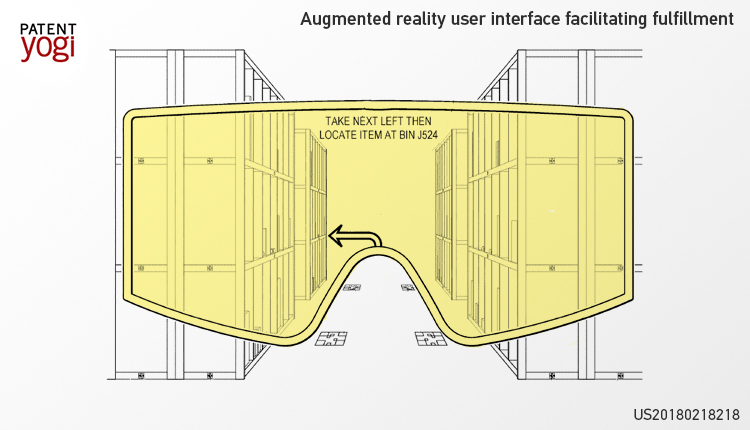 Each location identifier is associated with a particular location within the fulfillment center such that, when scanned by the Amazon’s wearable glasses, the wearable glasses will identify the particular location of the worker within the fulfillment center. Accordingly, a scanner is also disposed within the Amazon’s wearable glasses that is configured to scan the location identifier in order to determine the location of the worker. 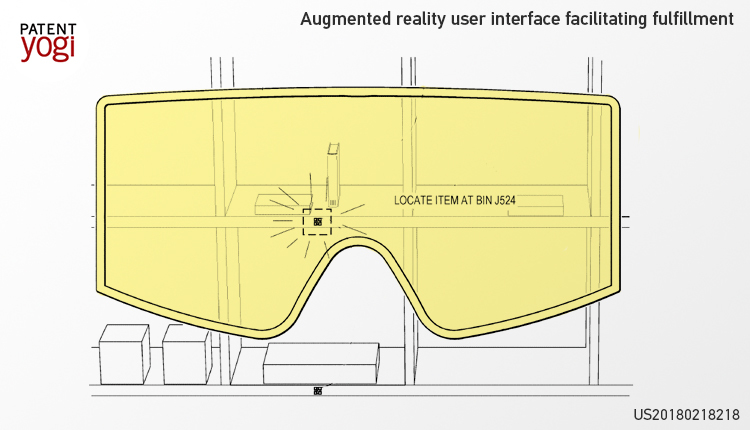 Once the location of the worker is identified with the location identifiers, the user interface gets updated by the Amazon’s wearable glasses. So what do you think about this Patent technology by Amazon? Let us know in the comment section.